Tweets from #governmentnews are so wrong the person tweeting should be taken out and shot. Journalists should avoid this site because of its inaccurate and misleading information. I am heading for Southport for the National Union of Journalists’ (NUJ’s) Annual Delegate Meeting (ADM). In 2009 why can’t we get a Vodafone and 3G signal on a Virgin East coast train? 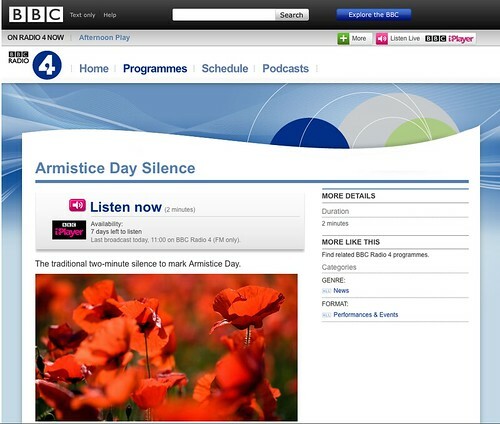 If you missed today’s Armistice Day two minute silence at the 11th hour of the 11th day of the 11th month, you can listen again on the BBC iPlayer (link opens new window). Some of these may technically be the journalist’s twitter details but several rarely if ever post. And I am not on either list – do I want to be? 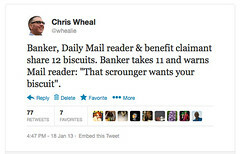 Thanks to a Journalism.co.uk tweet for this.